If you liked this show, you should follow Lauren Tenney. Yvonne Smith and Lauren Tenney host open lines for further analyses of the MHASP webinar, "Murphy Bill in 2015". Not that they would put it this way, maybe, but the webinar will feature a discussion about three sweeping legislative efforts concerning the psychiatric industry and state power. The bills discussed will include the Congressman Tim Murphy's now dead H.R. 3717 and its resurrected evil twin, H.R. 2646, the Helping Families in Mental Health Crisis Act of 2015, put forth by Congressmen Murphy and Johnson. Meanwhile in the Senate, back in March 2015, Senators Bill Cassidy and Chris Murphy successfully swayed the Senate to unanimously pass a "comprehensive mental health reform budget" and just announced last week a new bill, the "Comprehensive Mental Health Reform Act of 2015", S. 1945. 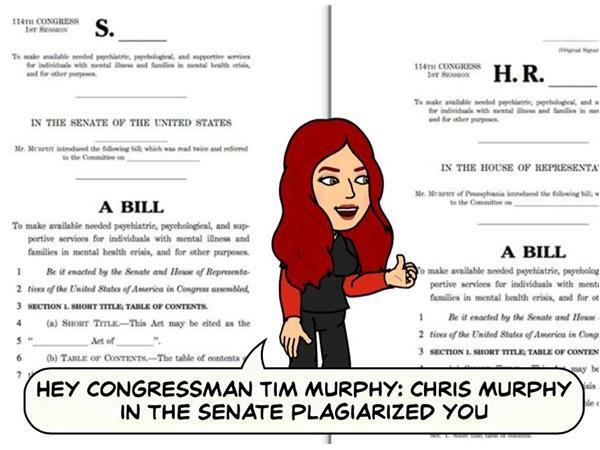 S. 1945 is essentially an edited and plagiarized version of the Murphy-Johnson Bill (H.R. 2646), which also includes the spirit of the H.R. 2690 bill, the "Involving Families in Mental Health Recovery Act of 2015," put forth by Congresswoman Matsui. Like H.R. 2690, the new S. 1945 also slices at privacy going as far to say: “the protected health information of patients with a mental illness may be disclosed with and without patient consent” (p. 82). This show will be an open lines call in show for people to express their further anaylses about these bills.